Inara is a Senior Project Officer at NSW Ombudsman, working with the Deputy Ombudsman (Aboriginal programs) to monitor Aboriginal policies and programs. She is a recent PhD graduate from the Social Policy Research Centre UNSW (SPRC). Her PhD is on Aboriginal participation in policy making. Inara previously worked at the Australian Domestic & Family Violence Clearinghouse and the Centre for Gendered Violence Research at UNSW. 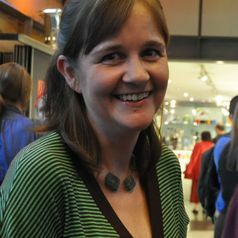 Prior to this she was a curator at the Museum of Sydney for more than a decade, before deciding on a career change to pursue her passion for social policy via postgraduate research.